India is becoming a sweeter nation by the day. Wondering what I mean by a sweeter nation. Today , on this day of World Diabetes day we would like to take you through some facts about diabetes. According to the World Health Organisation, India has been declared as the Diabetic capital of the world. The statistics are alarming. In 2000 there were 32 million diabetics in India, in 2013, the figure doubled to 63 million and by 2030 it has been projected to touch 101.2 million. India ranks second, between China with 90 million and the USA with 24 million diabetics. The factors largely driving this dramatic rise include overweight and obesity. The annual spend on diabetes is Rs 1.5 lakh crore, 4 times the central Government’s allocation of Rs 32000 crore. The Prime Minster of India Narendra Modi on World health day said on twitter that a healthy lifestyle is a key to overcoming diabetes. “Our lifestyle is the biggest cause for diabetes. If every citizen of my country is healthy, then my country will be healthy. I call upon you to defeat diabetes, which plays host to so many diseases,” said Modi in his message to Indians on World health day. Diabetes can be controlled however with exercise. Here are some excerpts from a blog written by one of the GOQii coaches Disti Shah. 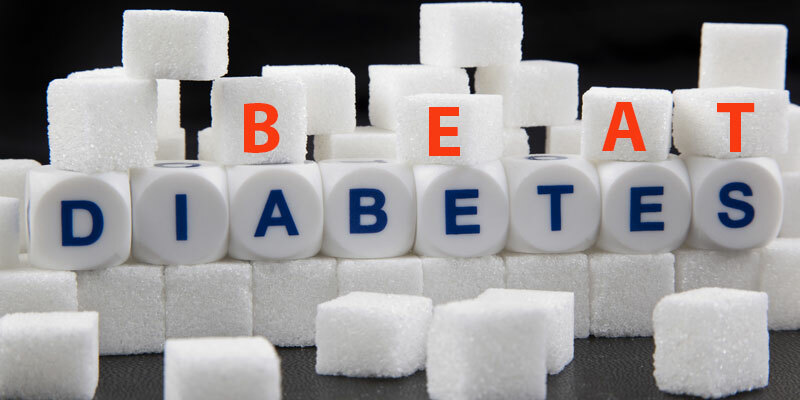 According to Disti, the facts and myths about diabetes are plenty especially on the kind of foods one should have or not have, whether one should exercise to control diabetes etc. But diet is not all that one needs to focus on. Exercise is equally important. However, when diabetes exercises one should keep in mind the following at what sugar levels should we allow or not allow a diabetic person to exercise? What should be the intensity and frequency of exercise and What type of exercise should a Diabetic do? Here are some information on about how regular exercise can control your Diabetes. Help maintain proper body weight. Help keep the heart rate and blood pressure lower. Helps keep blood fats levels normal. Help maintain normal blood circulation in the feet. Now that we know seven of the many reasons why exercise is important for a person with diabetes, let’s know which exercise benefits diabetics. Which kinds of Exercise are Best? 30 minutes of “moderate intensity” aerobic activity – 5 days a week. “Vigorous intense” aerobic activity 20 minutes or more a day – 3-5 days a week. In addition, you should add flexibility and strength training to your routine. Strength training 8-10 exercise, 10-15 repetitions of each exercise, 2-3 days a week. Remember that Diabetes cannot take your hope, faith, attitude, courage, happiness, and happy life away from you. We are the author of our own health and disease. Let’s overcome it, no matter what type or what level of disease it is. Let’s help others and ourselves to be active most of the time. Exercise can permanently remove or reduce medication. There are ways to arrest this epidemic. While diabetes reversal is possible, it is also equally important to get yourself checked for any pre-diabetic condition and take preventive measures. Life seems complete with the combination of all four seasons, days & nights, warmth & chills, as well as sweet and sourness. Be aware of diabetes and act on time to keep adding sugar to your life. Diabetes Needs Action! Schedule a diabetes test NOW!! !